As I wrote in an article in February, 2018 is a critical year for Gavin Cecchini. His prospect status took a hit when he was moved from shortstop to second base due to his defensive yips and the presence of Amed Rosario. Plus, he had a down year offensively in 2017 and failed to impress in his stint with the Mets. But Cecchini showed up to camp in 2018 with a new swing and a new beard, determined to come back strong this year. 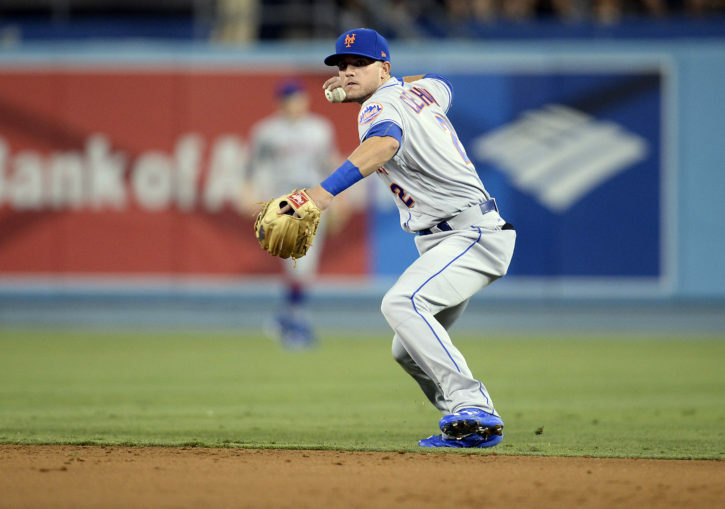 Tim Healey of Newsday also wrote about how Cecchini wanted to improve his versatility. After playing shortstop his whole life, it seemed as though at the end of last season he was pretty much restricted to playing second at this point. But with Cecchini still needing to prove that he can hit in the Majors, it would be hard for him to get a chance if he was limited to just one defensive position. So, while Cecchini spent the offseason working on his swing, he also worked on improving and cleaning up his play on the left side of the infield. And so far this season in Las Vegas, the 51s have used him at second for 147.2 innings, shortstop for 87.2 innings, and even an inning at third. The typical middle infield has been Cecchini and Luis Guillorme, where they have been alternating between the middle infield positions. But it’s clear that the Mets are trying to get Cecchini reps at more than one position to create a clearer path back to the Majors, and it’s been so far so good. The infielder has only made three errors so far this year, and those were all at second base, which has proven to be his steadiest position. If he can continue to play relatively clean defense on both the left and right sides of the infield, he could become much more useful when he gets another call. Last year, a position change brought offensive regression along with it. After putting up an .819 OPS in Double-A in 2015 and an .838 OPS in Triple-A in 2016, Cecchini batted just .267/.329/.380. 2018 will be a key year for him to try to bounce back with the bat as he settles into his defensive role, and he’s off to a fast start, hitting .294/.342/.468 with only 15 strikeouts in 119 plate appearances. This fast start offensively is likely due to the adjustments he made to his swing in the offseason. Going forward, it will be interesting to see if he can keep it up and return to his 2016 level of hitting, and if he can overcome the fielding and throwing issues that took him off his lifelong position of shortstop. The hope for Cecchini is that he reestablishes himself as a potential starting shortstop or second baseman that hits for average with strong gap power, because those attributes along with some defensive versatility could have a place on this Mets team. But he’s got to hit, and he’s got to not let the errors rack up like he did in 2016. For now, all we can do is calmly wait and see how things play out for the 24-year-old infielder. This is his last major opportunity to earn a spot, and if he doesn’t take advantage of it, future opportunities may be scarce. Thanks for reading! If you enjoyed this article, you might want to check out my analysis of Austin Barnes, or if you like interviews, Mike has plenty of those. You can also follow us on Twitter and Instagram for updates on when we publish a new article or interview. You can also follow me on Twitter.